Android gaming has grown up exponentially. This market has emerged as one of the biggest gaming markets, as people are now busier towards their jobs and get very few moments for entertainments. So, Smartphone is the stuff we use to carry all the time, and in spare moments we can have some moments for playing games, which is possible only on smartphones. 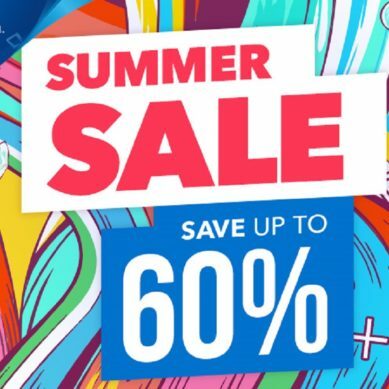 Though the importance of console gaming is at its own place, the real taste and amusement we get from console gaming, but who on the God’s good earth in this age got hours to spend on a console to play the favorite game? So, today, we want you to move some step back, to go in the times of Arcade games, the games to which you know very much and you know how to get your hands on to them. We are going to rememorize those moments of joy and offer you the best Arcade games for Android phones. You can get these Arcade games on your Android phone, and spend some moments of joy and happiness. PAC-Man is the mecca of arcade games, one of the world’s leading arcade video games, and you can have this game free of cost on your Android phone. 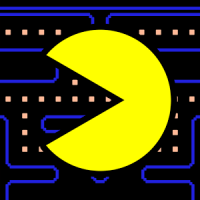 You need to guide the PAC-Man through the maze to eat up all the Pac dots and fruits which are coming in the way, and by doing this you are going to earn scores. The leaderboards to help you have a close eye on your scores, and to struggle to get more and more. You need to avoid the ghost gang which comes your way, this is a retro addictive gameplay of the cultural icon, and we have played plenty of this game in 80’s, relive those gaming moments of the mobile phone world. New features though have been added, new maze, weekly tournaments, and token rewards to win. 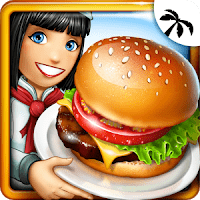 Cooking fever is a very simple and fun game with simple but addictive gameplay, with the great graphics indulges into it. In this arcade game, you are going to manage different types of fast food restaurants. You need to serve the customers as fast as possible and make them go with the happy and satisfied faces. At the beginning of the game, you only serve the customers at a burger place, but as you go advance in the game, you can unlock the new types of restaurants. A wide range of foods you can serve your customers, about 400 different types of food including hamburgers, hot dogs, pizza, soft drinks and much more. Though serving the food is not that difficult, it is very simple, above the customer’s head, you can see what food he or she wants. Execute the order quickly, using the tools available, get the money, and buy new tools to update your kitchen and other stuff. In the end, you would love to have this game on your phone, a nice graphics game you are going to play without paying a single penny. What I love the most about this game, the smooth sail animations, and the easy to control character, and very realistic movements. It seems like the character itself is the player, which makes the game very interesting. 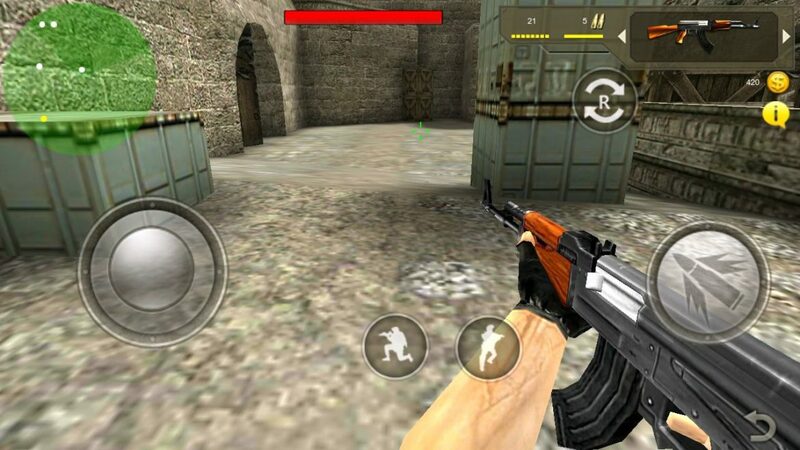 A must play a game on an Android phone; you would love to get this Arcade game on your Android phone, believe me. In this 2D platformer, you need to escape from the research facility, the place and every tool in it goes against you, and stops you from going out. The controls of the game are exactly the same as in the first saga, just swipe upward to jump forward, and by sliding the finger one can make the character sprint forward. The missions of the games are quite handy and you can buy different equipment, to pave the way to escape from the place. 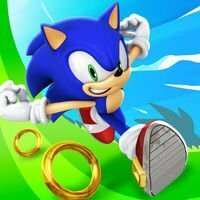 It is a platform Arcade game starring Sonic, the gameplay is identical to the famous Temple run which produces an existing experience to demand you to have some reflexes if you want to succeed. 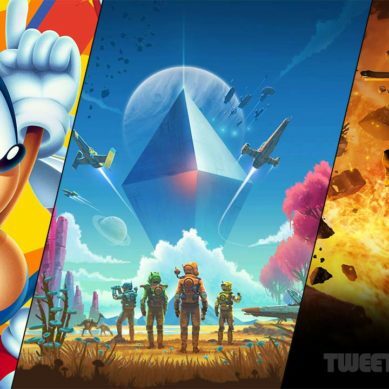 Everything that you expect from the game is there like the Hedgehog is there, classic looking lives power-ups which offer you different abilities and some very popular character like Trails and Knuckles. If you have one friend around you, can challenge the friend to match you on the internet, due to the online classification tables. This is a simple to do in multiplayer, you share your score with your friend, and he/she will try to beat you in scores, to earn more scores than you. The stunning graphics of the game is something very special, with fantastic character models and lives that are packed with the details. You need to have a powerful device to get the game going, otherwise, you may get some graphics errors, or at least the game might not go sailing. The second installment of the Meta Soldier series, a wonderful gameplay with stunning graphics, a must have arcade game on your phone to rememorize the experience. 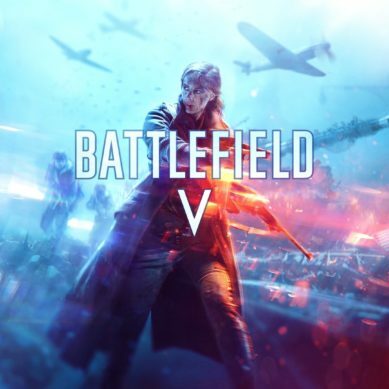 In this game, you are going to play the role of a mercenary and the mission of the person is to go as far as can by surviving the attack from the enemies hundreds of them. The start of the game is a tutorial, which will help you to learn to aim and grasp all the moves which you need to kill the object no matter where and how to find it. The game is a blend of ability and action, and you are going to play very difficult levels of the game with improved aims and targets. As you go in the game, you will have to survive shots from the other soldiers, bombs that fall from the sky. The doors which are closed, by aiming the right and killing the person behind only makes the door opened. 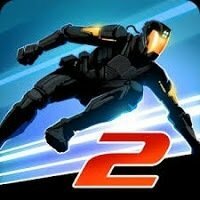 So, enjoy the metal Soldier 2 Arcade game, and test your aim and skills in the intense level of the game. 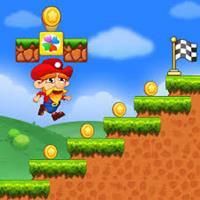 The best storyline, exciting adventures, classic platform Arcade game, Super Jabber Jump3. If you really want to go in your school days, relieve the moments of joy when you play the game, get Super Jabber Jump 3 on your phone, and have many hours of excitement and amusement. Jabber’s forefather’s gem was robbed by the evil monsters, for taking the gold back, Jabber wants to go on an adventure, and there is the story starts. Control your favorite Jabber to run, Jump and pounce on monsters, and get the gem back to you. The way to catch the evil is full of the obstacles, and you need to control and use different weapons to get them down. Another great Arcade game that everyone can enjoy from the core of their hearts. Enjoy the various missions and addictively simple play control, and get the plenty hours of madness on the palm of your hands. 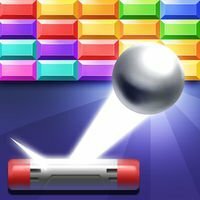 The object of the game is to break the screen by bouncing the ball from the metal blank at the bottom. The positions of the bricks are very awkward, and it is hard to directly break them into pieces. So, try to hit those using angles, and to complete the challenge. The game offers you hundreds of missions and stages, and you need to accomplish the mission to get the next challenge in the row. 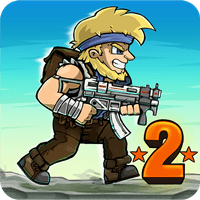 It is one of the most favorite Arcade game what you can get on your Android phone right now. The stack is the game where you have to build the tower of different colors by letting the blocks fall on ones already placed in the queue. The new blocks are moving, from one side of the screen to the other, and one needs to tap on the screen to make them fall over the tower. If the new block which is coming to be placed on the new tower fits perfectly alright if not then the leftover bit will break off and you will get lesser space. You need to build the tower as high as possible, a musical Ketchapp’s game. 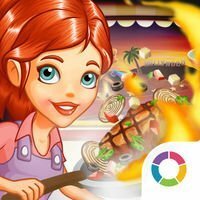 Are you loved playing cooking games? Cooking Tale is the must game for you to have your hands on it. You are going to live a life of a rising star, which got the natural talent for cooking and just graduated from the chef academy. The cooking tale will fulfill your dreams of being a chef and discovering various cuisines for sure. 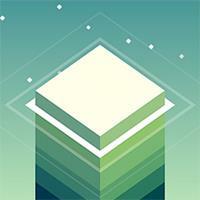 It is the addictive time-management game and you need to reach the maximum speed and skills. Your kitchen is equipped fully with the utensils, and you need to find more advanced user features to shop. Take orders, cook and serve dishes and upgrade the tools and get the next level of the game. 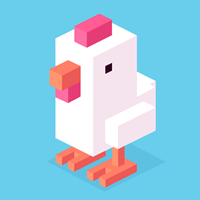 Crossy Roads no doubt one of the best Arcade game to play on an Android phone. Your move your character from different areas like train tracks, roads, and the only objective of you is to avoid crushing it. 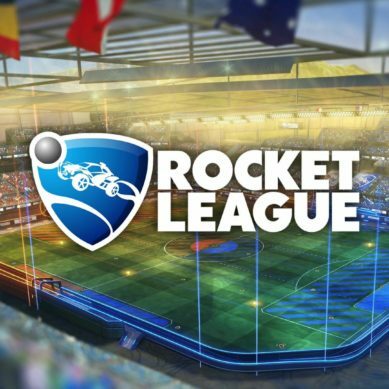 The features of this game are mind-blowing, multiplayer and local support, Android TV support has added the cherry on the cake. The most of the playable characters in it are unlock, you need to work hard in it to get the next playable character you cannot pay to win the game.